Enjoy the sultry scent of sandalwood all day long by mixing a drop of this essential oil with your hair products. Massage Sacred Sandalwood onto your temples and forehead to promote relaxation and keep you feeling grounded. Diffuse during yoga or meditation to encourage focus. 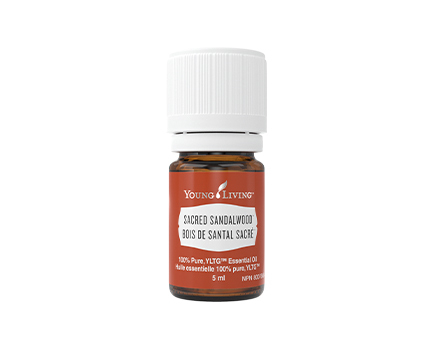 Keep Sacred Sandalwood in your purse or briefcase for instant relief of digestive issues when dining out. 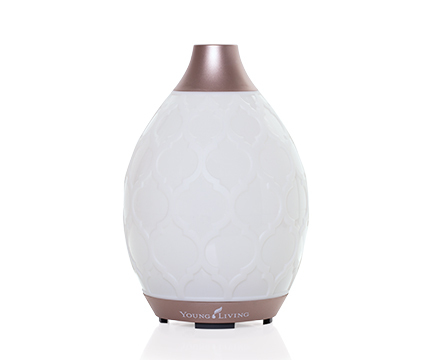 Add it to your diffuser and fill the air with its cold-relieving benefits. Enjoy the warm, luxurious aroma as a sophisticated personal fragrance. Add 2 drops of Sacred Sandalwood and 4 drops of Lavender to your bathwater to help ease stuffiness and enhance relaxation. Place 3-10 drops of Lavender, Lime and Sacred Sandalwood in a pot of steaming water to ease cold symptoms. Breathe in the steam for 5-10 minutes. 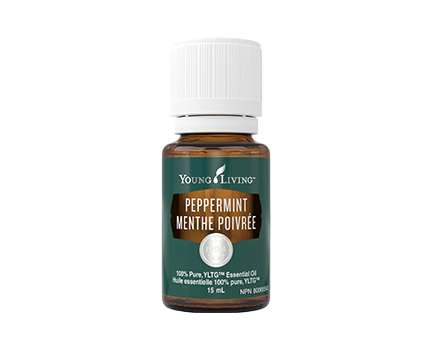 Commonly used with: Ginger essential oil, Lavender essential oil, Lime essential oil, Bergamot essential oil, and Basil essential oil. 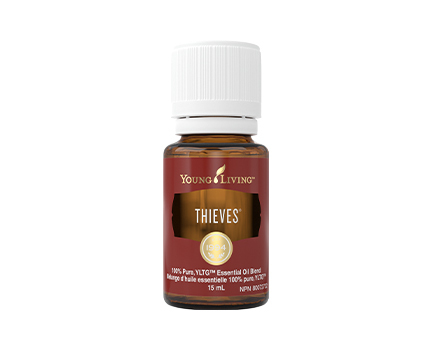 Adults: For topical application: Mix 5 drops of essential oil in 5 ml (1 teaspoon) of carrier oil (preferable V-6 Enhanced Vegetable Oil Complex). If a larger quantity is desired, maintain a ratio of 1 drop to 1 ml carrier oil. Apply to affected area up to 3 times per day. Do not use essential oils undiluted. Not for oral use. Avoid contact with eyes and mucous membranes; if this happens, rinse thoroughly with vegetable oil. For inhalation: Apply 1 - 6 drops of undiluted essential oil to a handkerchief/tissue and inhale occasionally. Use up to 3 times per day. Be sure to follow label instructions. 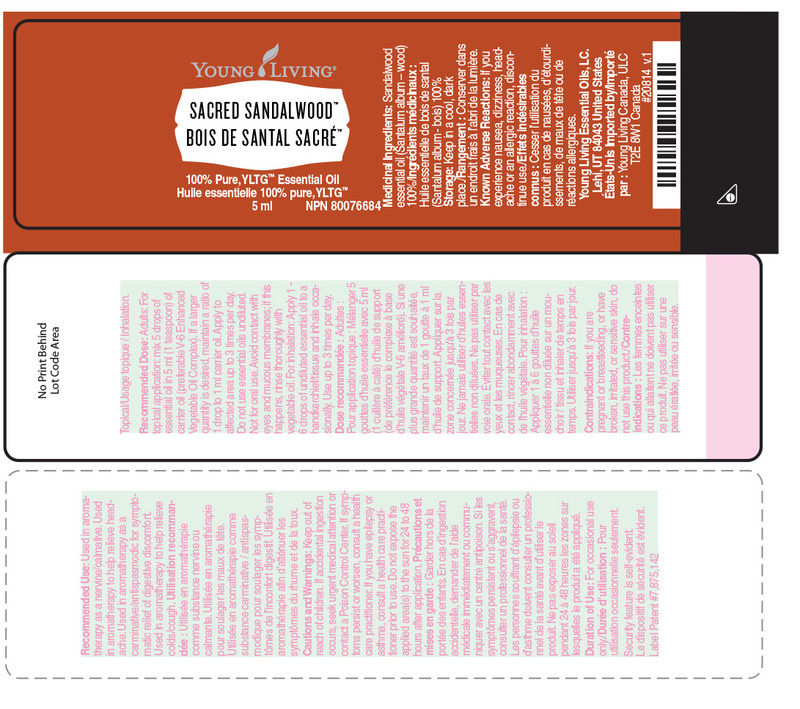 Click here to view Sacred Sandalwood label.